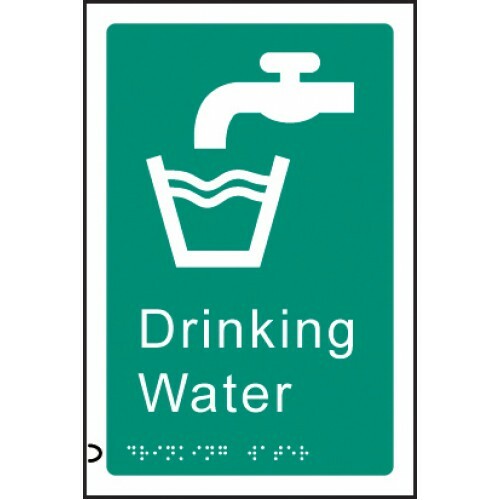 This braille drinking water sign helps ensure people with visual impairment don't use taps unsafe for consumption. The raised letters, symbol and braille ensures this braille/tactile sign can be read by everyone. Designed to help you meet your obligations under the DDA and Equality Act 2010. Our braille signs have an adhesive backing for easy installation. Self adhesive labels are supplied ready cut to peel off and apply Conveniently supplied on rolls of 1, easy to store and easy to use If you cannot find the label you require we will be happy to quote ..
Multi-message signs provide multiple safety messages on one sign. This sign warns of the hazard and mandatory/prohibition action to be taken Material Options Explained Below is a more detailed descri..